Back in 2012, Hans-Peter van Leeuwen came to me with an awesome idea. 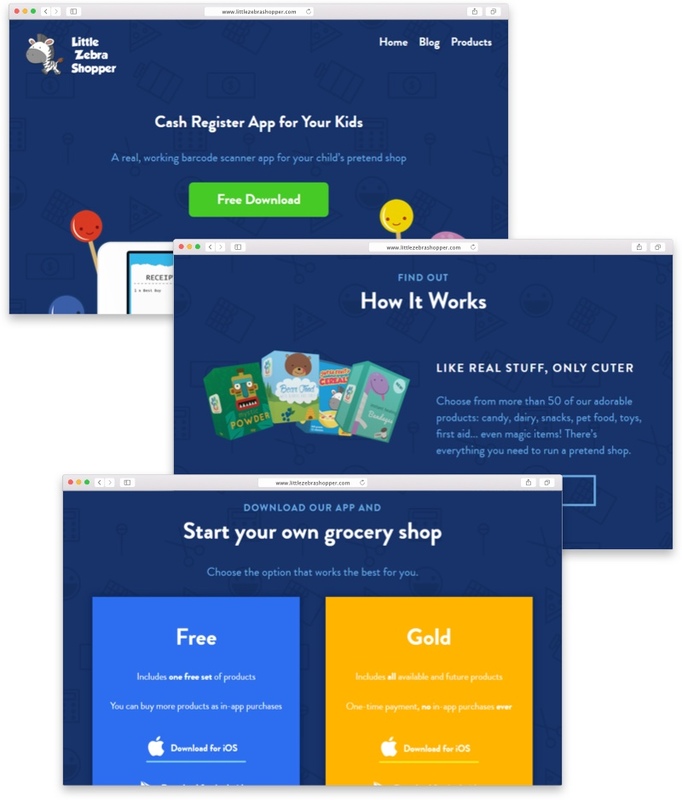 He wanted to make a simple, colorful app for kids that would allow them to run their own pretend-shop and use a smartphone or a tablet as a cash register. But the app itself would be just a part of the story. There would also be printable pretend-products, which kids can print out, assemble and scan using the app’s barcode scanner. My job was to work closely with Hans-Peter and his talented iOS developer @puckipedia and design the UI, dozens of printable pretend-products, and a marketing website. Since Hans-Peter was bootstrapping the product as a side-project born from his love for kids, there wasn’t a huge budget reserved for testing. That meant I had to hang out at the local mall and convince families with young kids to try out the app, recording their reactions, thoughts and questions (tip: malls are a great place for this, because people are usually relaxed and not in much of a hurry.) This gave us some valuable insight and helped us simplify the app even further—just one screen, simple icons and automatic scanning of products when you put them above your camera. I also had to make sure they’re easy to print, cut out, fold and glue, even when parents aren’t around to help. 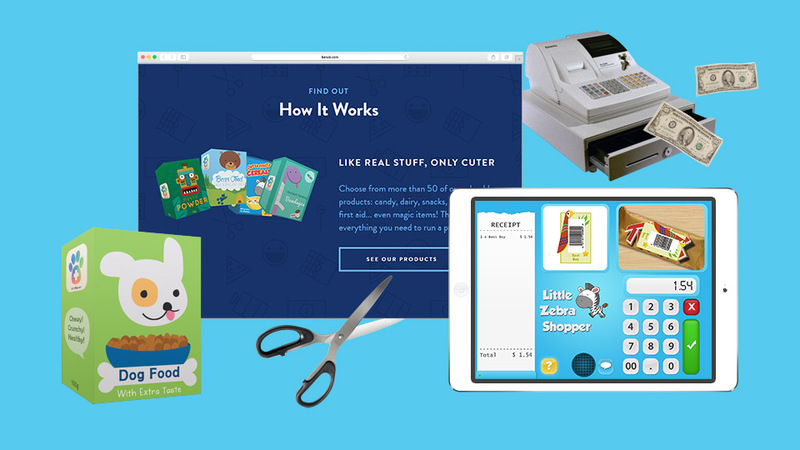 I also designed and built the Little Zebra Shopper website, which explains how the app works using simple language, pictures, videos and gifs. There is also a section where users can download new product packs to use with the app. The website is running on Wordpress, Timber and Advanced Custom Fields, making it easy for Hans-Peter to add new product sets and blog posts. First things first: it’s hard to keep afloat if you can’t get paid. 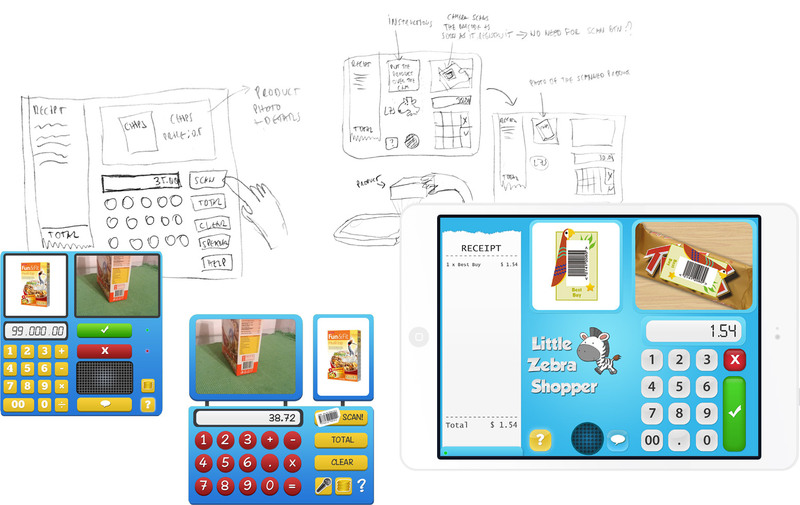 So I designed official Little Zebra Shoper money and credit cards, which can be used to “pay” for products. We also partnered with folks from Pretendasaurus and designed a special set of products for pets. 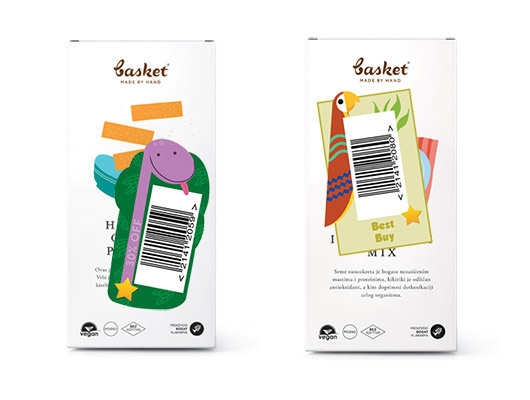 On popular request, we also added official Little Zebra Shopper barcode stickers, which you can add to any old regular product to add it to your pretend-shop.